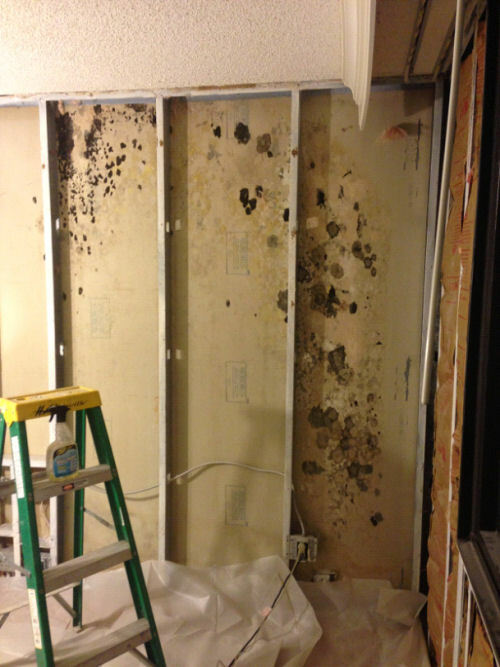 Commercial Mildew-Mold Repair Project | General Contractor Anthony & Company Construction, Inc. 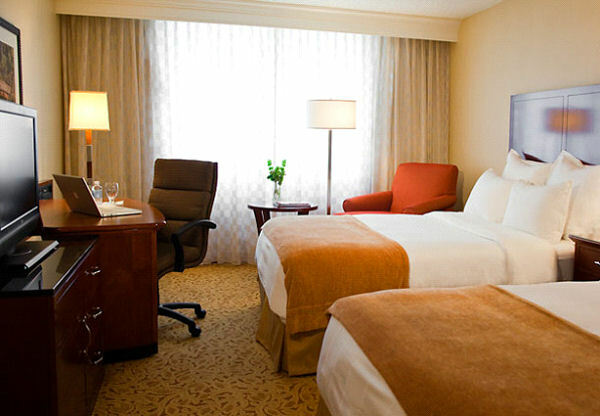 This is a project at a high end hotel in Raleigh NC area. 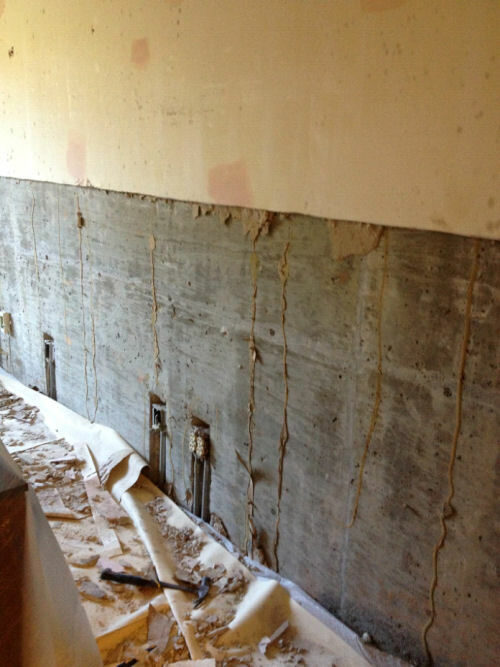 A picture showing the wall as we begin to remove the damaged gypsum panels. 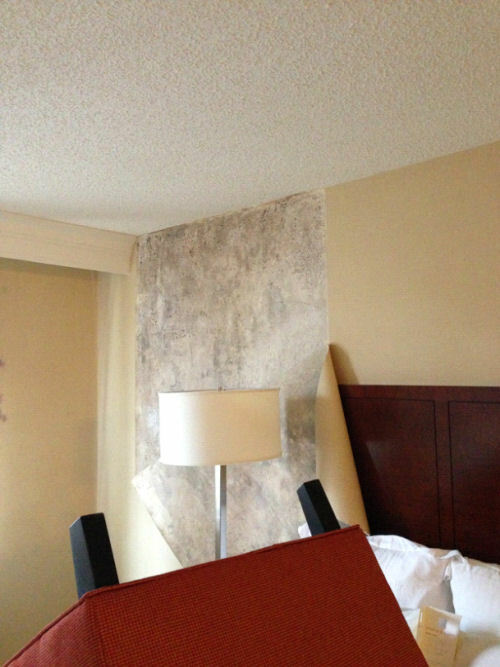 This wall is a concrete that has drywall glued and nailed to it - unfortunately, concrete by nature absorbs moisture which in humid conditions can promote mildew growth. 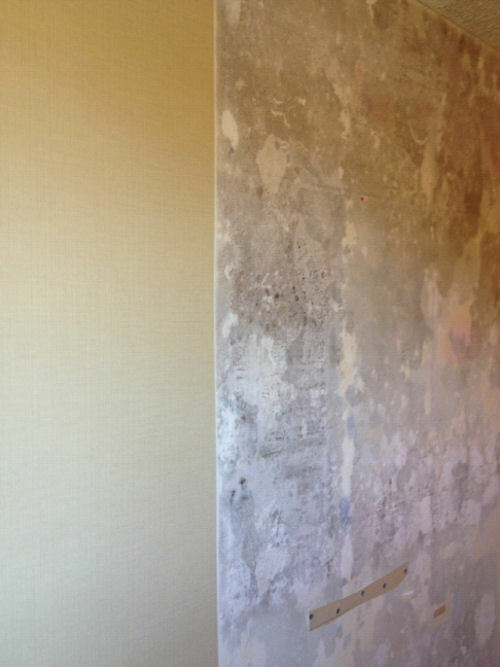 This photo shows a piece of vinyl wall covering that had actually fallen off the wall due to mildew growth behind it.